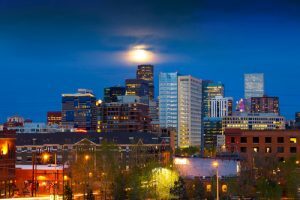 Denver is the capital of Colorado and one of the major American cities with a population of 680,000 residents. The city has a great location at the base of the Rocky Mountains, which attracts many visitors and ski lovers to this sunny place. Denver is also home to well-known museums and four major sports teams. It is one of the fastest growing cities in the United States, so it is popular not just as a tourist destination but as a city for relocation. Relocating from Philadelphia, PA to Denver, CO? Philadelphia Car Transport will be happy to help you with shipping your vehicle! For people who have never used auto transport before, it might not seem like an option. The obvious choice might be driving to move a car. But if you are driving from Philadelphia to Denver, that’s over 1700 miles and 24 hours behind the wheel. Just imagine how much money you would spend on gas, and your car would rack up an extra 1700 miles. That’s what makes many people consider Denver car shipping from Philadelphia. Car shipping saves you money, stress, and time. And it’s also is safer for you and your car. Philadelphia Car Transport will be happy to ship your car from Philadelphia to Denver. We provide auto shipping services nationwide and work with all kinds of vehicles. Our mission is to provide high-quality car transport available to everyone at an affordable price. We have special offers and discounts and beat our competitors’ prices. Get free quotes on car shipping from Denver to Philadelphia and move your car without any hassle. You can request a free estimate online on our website or over the phone.